Hypertension in other terms is defined as high blood pressure or blood pressure greater than 140/90. High blood pressure increases your chance for getting heart disease or kidney disease, and for having a stroke. Hypertension is often called the silent killer. It is especially dangerous because it often has no warning signs or symptoms. Right from young to old anyone can develop high blood pressure. Once high blood pressure develops, it usually lasts a lifetime. You can prevent and control high blood pressure by taking action. 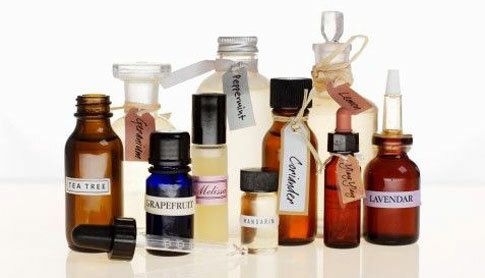 There are various essential oils available for hypertension. 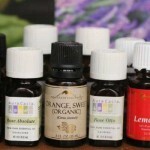 The use of essential oils in hypertension treatment is becoming more prevalent in today’s society. Some of them are stated below. Clary sage is one of the essential oils for hypertension. Due to its calming and sedating influence on the nerves, emotions, female functions, kidneys and digestive system it is used particularly in cases of depression, stress, insomnia and deep seated tension.It also helps with skin conditions like acne, boils and ulcers and cools painful muscles and joints. It can be used in blended massage oil, or diluted in the bath to get relief from muscle pains, depression, anxiety, menstrual problems, PMS, stress, nervous tension, insomnia, frigidity, cramps and addiction. 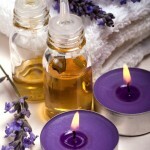 Lavender is a calming, relaxing essential oil for hypertension, which combats stress and crisis. Due to its soothing and calming effect on the nerves, it is useful in relieving tension, depression, panic, hysteria and nervous exhaustion in general and is effective for headaches, migraines and insomnia. The therapeutic properties of lavender oil are antiseptic, analgesic, anti-depressant, anti-rheumatic, anti-inflammatory, antiviral, hypotensive, nervine, rubefacient, sedative and vulnerary. Due to its antiseptic properties it helps with cold, flu and other ailments. It is useful for all types of skin problems such as acne, oily skin, boils, burns, sunburn, wounds, psoriasis, lice, insect bites, stings and also acts as an insect repellent since it tones and revitalizes on the skin. Marjoram oil has a warming action and calms emotions, due to which it relieves anxiety as well as stress and helps to calms hyperactive people while boosting circulation. It has good muscle relaxant properties and the pain killing properties are useful for rheumatic pains as well as sprains, strains and spasms, as well as swollen joints and painful muscles. Marjoram oil can be beneficial in cases of nervous tension, respiratory congestion, painful muscles and joints, digestive problems and menstrual disorders. It soothes the digestive system and helps with cramps, indigestion, constipation and flatulence and has a beneficial action on colds, sinusitis, bronchitis and asthma. This essential oil helps to bring calmness to the mind, while having a great sedating effect, calming the heartbeat and palpitations. Melissa oil calms the nerves and has excellent qualities in fighting depression. Due to its sedative effect it helps in cases of hysteria and panic and helps to slow the heartbeat, eases high blood pressure and is a tonic to the heart while regulating the menstrual cycle, also helping with period pains. Ylang-ylang oil has a euphoric and sedative effect on the nervous system and helps with anxiety, tension, shock, fear and panic while the aphrodisiac qualities is useful for impotence and frigidity. It is particularly useful with rapid breathing and rapid heartbeat, it can also help with reducing high blood pressure and useful for intestinal infections. The therapeutic properties of ylang-ylang oil are antidepressant, antiseborrhoeic, antiseptic, aphrodisiac, hypotensive, nervine and sedative. Apart from these essential oils, other essential oils like Chamomile, Cypress, rose and Rosewood are also beneficial in the treatment of hypertension. There are some essential oils, which should to be avoided for hypertension or high blood pressure like Hyssop, rosemary, Sage and thyme since it is hypertensive.